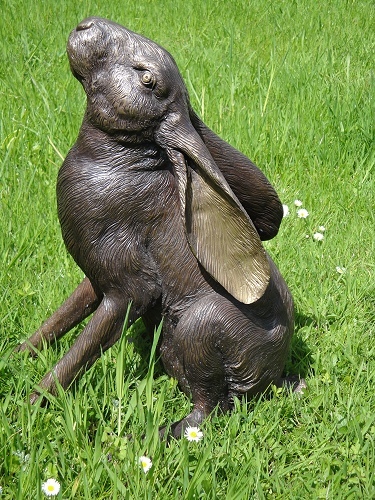 The Moon Gazing Hare is an ancient symbol of fertility. Chinese Moon Gazing Hares were thought to be gazing up at what he thinks as his ancient ancestor, the Moon Rabbit in the Moon. 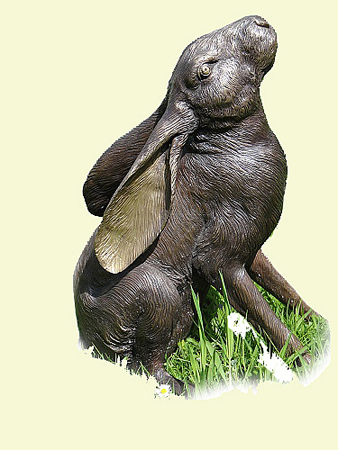 This statue is beautifully made from solid bronze to create something which not only looks superb, but will also last a lifetime.